The past decade has witnessed a revolution in the scope and power of analytical chemistry to characterize biological samples. Nowhere has this been more evident than in mass spectrometry where new ionization techniques, new methods of mass analysis, a more efficient integration of separation methods, and a steady increase in computerization have created an exceedingly powerful tool for bioanalysis. It is our goal to employ these new separations and mass spectrometric tools to devise solutions to the myriad bioanalytical challenges and problems that arise during drug discovery and new agent development. To this end, we are addressing questions dealing with the physicochemical and structural characterization of new agents and their metabolites, devising and applying innovative methodology for the measurement of these compounds in biological matrices, and answering questions relating to the disposition, pharmacokinetics, and metabolism of new agents in vitro and in vivo, including in humans. At the present time, our research efforts are concentrated in two areas: (1) development and application of mass spectrometric methods in combination with high performance separations (microcolumn liquid chromatography (μLC) and capillary electrophoresis (CE) for the elucidation of the intracellular metabolism of nucleoside-based agents and (2) development of rapid mass spectrometry-based methods for the structural and quality characterization of synthetic combinatorial libraries. Lodenosine (2'-beta-Fluoro-2',3'-dideoxyadenosine, F-ddA) is a Laboratory of Medicinal Chemistry-designed and synthesized HIV reverse transcriptase inhibitor that has been evaluated in phase I and II clinical trials. F-ddA has served as a model compound for the development of multifaceted methodologies that are suitable for the analysis of other nucleoside analogs in biological samples through our extensive studies of its analytical chemistry. Electrospray ionization and MS/MS in combination with narrow-bore HPLC have been used to provide rapid quantitative analysis of F-ddA and its primary deaminated metabolite F-ddI in biological matrices through selective reaction monitoring of the collision-induced dissociation of molecular ions. This general LC/MS/MS approach allows a structure-specific analysis that is rapid, sensitive, and requires minimal sample handling. Compound-specific fluorogenic derivatization has been utilized in conjunction with paired-ion, reversed-phase HPLC separation and fluorescence detection to develop a method capable of measuring nanomolar levels of intracellular F-ddATP, the active phosphorylated metabolite, in patient peripheral blood mononuclear cells. Currently, alternate strategies involving separation by capillary electrophoresis and detection with mass spectrometry are under investigation for the determination of these intracellular nucleotide metabolites. We have used the above methodology to examine the disposition and pharmacokinetics of lodenosine in AIDS patients, in nonhuman primates, and in rodents. In order to understand the factors determining the disposition, metabolism, and central nervous system penetration of lodenosine, a physiologically based pharmacokinetic model has been constructed using plasma and tissue concentration data obtained after both intravenous and oral administration of both F-ddA and F-ddI in rats. This model is being used to investigate and predict the effects of various transport and metabolic parameters that regulate the oral bioavailability and tissue uptake of F-ddA and other potential nucleoside drugs. The goal of our studies is the development of a general model for nucleoside analogs that will allow prediction of oral bioavailability and metabolism after interspecies scaling. We hope that such a model can be used as a tool for new drug design by identifying the optimal structural properties and pharmacological parameters for maximum enhancement of drug bioavailability and activity. 1) Huleihel M, Talishanisky M, Ford H, Marquez VE, Kelley JA, Johns DG, Agbaria R.
Dynamics of the antiviral activity of N-methanocarbathymidine against herpes simplex virus type 1 in cell culture. 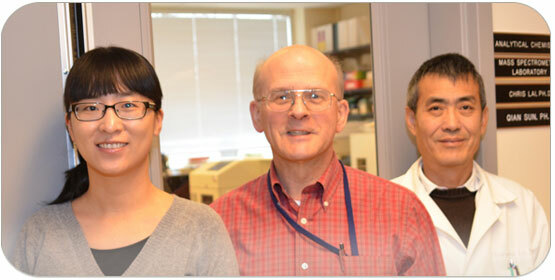 2) Qian W, Lai CC, Kelley JA, Burke TR. 3) Garcia LC, Donadío LG, Mann E, Kolusheva S, Kedei N, Lewin NE, Hill CS, Kelsey JS, Yang J, Esch TE, Santos M, Peach ML, Kelley JA, Blumberg PM, Jelinek R, Marquez VE, Comin MJ. 4) Qian WJ, Park JE, Lim D, Lai CC, Kelley JA, Park SY, Lee KW, Yaffe MB, Lee KS, Burke TR. Mono-anionic phosphopeptides produced by unexpected histidine alkylation exhibit high plk1 polo-box domain-binding affinities and enhanced antiproliferative effects in hela cells. 5) Smith DJ, Yap GP, Kelley JA, Schneider JP. 1) Marquez V, Agbaria R, Kelley J (submitted in 2004) Methylation Inhibitor Compounds. Patents pending: 05723859.4 (EP application); PCT/US2005/006173 (PC application); 10/590,762 (US application); 2005216971 (AU application); 2557075 (CA application).